This was a seven day crossing between Southampton, England and New York City. (Some guests had joined the ship in Hamburg, Germany at the end of the ship's Norwegian fjords cruise that preceded this voyage. For them, it was a nine day crossing). 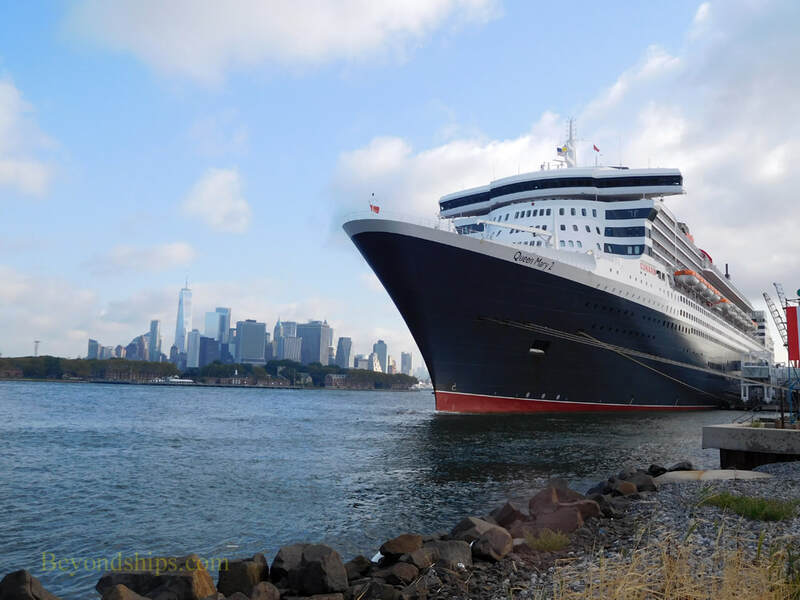 This voyage was listed in the Cunard brochure heading “Events Cruises,” meaning that there would be an additional track of onboard programming focusing on a specific theme. Cunard is particularly good at such events cruises. It is one of the reasons why no two voyages on Queen Mary 2 are the same. They create memorable experiences that are beyond routine cruising. The additional programming on this voyage comprised the 2017 Transatlantic Fashion Week. Transatlantic Fashion Week was conceived of in 2016 to dovetail with New York's annual Fashion Week. Fashion people from the UK who were traveling to New York for Fashion Week anyway could make presentations and show their work en route. I sailed on the 2016 Transatlantic Fashion Week voyage and was impressed. (see separate article). I am not a follower of fashion but I like creative things. The programming on that voyage highlighted the creativity involved in fashion. In addition, it was fun and exciting. A question in my mind as I boarded QM2 in Southampton was whether the excitement of the 2016 voyage was just a one-time thing. Would the programming be too much repetition for a non-fashion person? Also, could Cunard re-create the intangibles that contributed to the atmosphere of the previous year? As it turned out, the 2017 Fashion Week was different but just as exciting. Some elements were similar to elements of the previous years programming but there were also new elements. Originally, fashion designer Iris Apel was going to participate in the program as a speaker. However, she had to cancel her appearance due to personal reasons. As a result, her participation was limited to a movie and a display of some of her jewelry in the main lobby. Julien MacDonald, OBE, was the featured designer. He did an interview in the ship's theater and his work was featured in two fashion shows held in QM2's Queens Room ballroom. The shows presented some of the designs that he created for celebrities such as Beyonce and Jennifer Lopez. Creative and attractive, the designs had a strong sexual element. His creations were worn by professional models who toyed with and incited the audience to its feet with various gestures and dance moves. Similar to the shows done for the fashion press, these shows gave guests a glimpse into a glamorous but usually closed world. There was also a show of designs from Grosvenor Shirts focusing on high-end men's shirts and ladies' blouses. Holders of a royal warrant Grosvenor makes shirts for the British royal family. It is a different part of the fashion world than seen in the MacDonald shows. It does not have the same glamor but is interesting nonetheless. 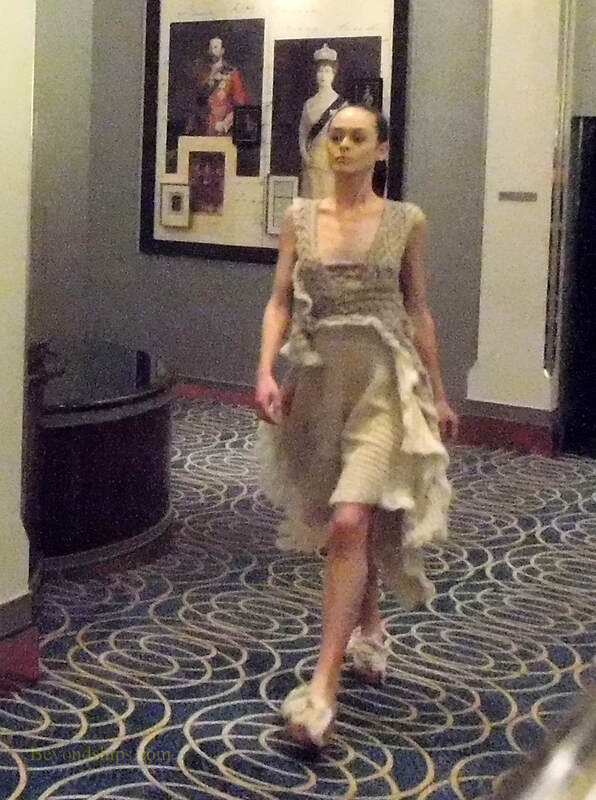 Works from six students from the Parson's School were featured in yet another fashion show. The students who presented were selected from those who had submitted collections to a panel of fashion experts. In general, the designers seemed more concerned with the outrageous rather than the aesthetic or the practical. The show was in the Queens Room. The main driving force behind Transatlantic Fashion Week is Colin McDowell, MBE, fashion,historian, commentator and artist. Mr. McDowell has great style and wit. Consequently, his lecture on fashion and the royal family was a pleasure to hear. As he did in 2016, Mr. McDowell also gave two workshops on fashion illustration. These were limited to a small number of students and all the places were taken almost as soon as the sign-up sheets were opened. Mr. McDowell gave insights into fashion illustration and worked with the guests as they drew from live models. A new feature this year was a preview of an exhibit of fashion illustration that would be on view during New York's fashion week. (see separate article). Mr. McDowell, whose works were included in the preview, officially opened the preview. During the course of the week, there were pop-up stores featuring a number of leading fashion brands including Aspinal of London, Furla, and Lucy Choi. In addition to the Fashion Week programming, Cunard had another set of speakers who gave presentations on topics not related to fashion. Mark V. Rosenker spoke about his time heading the White House Military Office under President George W. Bush and about being Chairman of the National Transportation Safety Board. 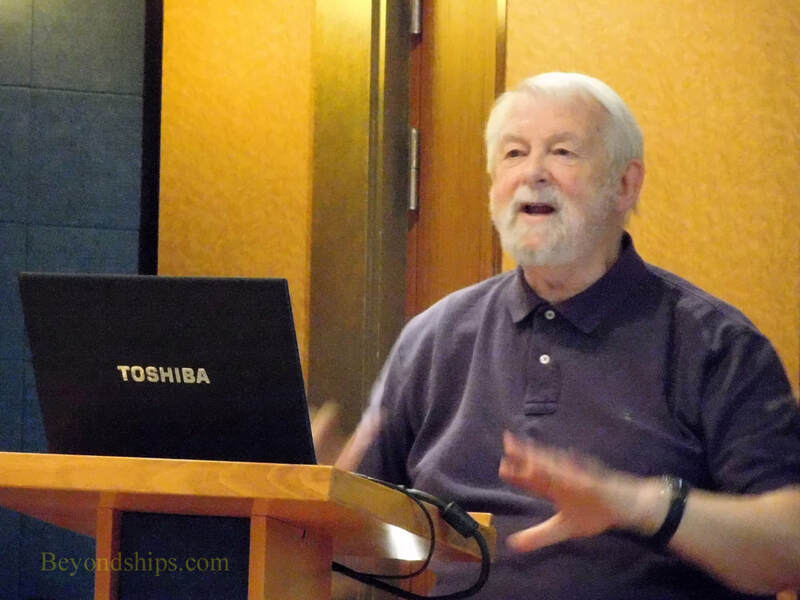 Johnny Beerling talked on various topics relating to entertainment and Park Sims discussed scientific subjects such as the tides and military topics Ivo Mechtel gave lectures on the history of transatlantic liners in both English and German. The non-fashion programming also included classical music concerts, watercolor classes, bridge tournaments, iPad workshops, talks by the spa personnel and by the jewelry shop, trivia contests and bingo. There were video shows in the planetarium as well as cinematic movies. In the evenings, there were different styles of live music in the various bars and lounges, production shows in the theater and performances by singer Zoe Tyler and comedian Mike Doyle in the theater. Thus, there was more than enough to do even for people who had no interest in fashion. But there seemed to be few guests who were not interested in the fashion events. When people gathered for meals or drinks, the fashion events were a main topic of conversation. The events generated an excitement that ran through the ship, drawing people to them. This may seem surprising in light of the fact that the passengers on this voyage were not from the fashion industry or dedicated followers of fashion. Rather, they were a typical mix of Cunard passengers. Most were well-educated people recently retired from various professions and occupations. The largest number of guests were from the United States. However, reflecting the fact that guests were able to join in Hamburg, the second largest number of guests were from Germany. Somewhat contrary to the norm in recent years, guests from the UK were in third place. There were also guests from quite a few other countries. The people associated with the fashion events remained quite visible during the voyage. They could be seen at the various receptions mixing with the people, on the open decks and in the public rooms. The young models danced in the ship's nightclub, which was unusually crowded during this voyage. The fashion people were approachable and spoke with the guests. This added to the convivial atmosphere. Also adding to the atmosphere was the level of service. This was my fourth voyage on QM2 this year and it seemed to me that the crew seemed much happier this year than in previous years. It is an adage in the cruise industry that a happy crew makes for good service. There, they were quick to greet you with a “Good morning” and they seemed quite customer focused. The objective seemed to be to enhance the guests' cruise experience rather than just get the job done. ​The weather also co-operated during this voyage. There were no major storms. Although I heard some comments about the motion of the ship on a couple of days, everyone seemed to be out and about. The skies were overcast most days but we also had some sun. Quite a few whale and dolphins were spotted by guests on the open decks. 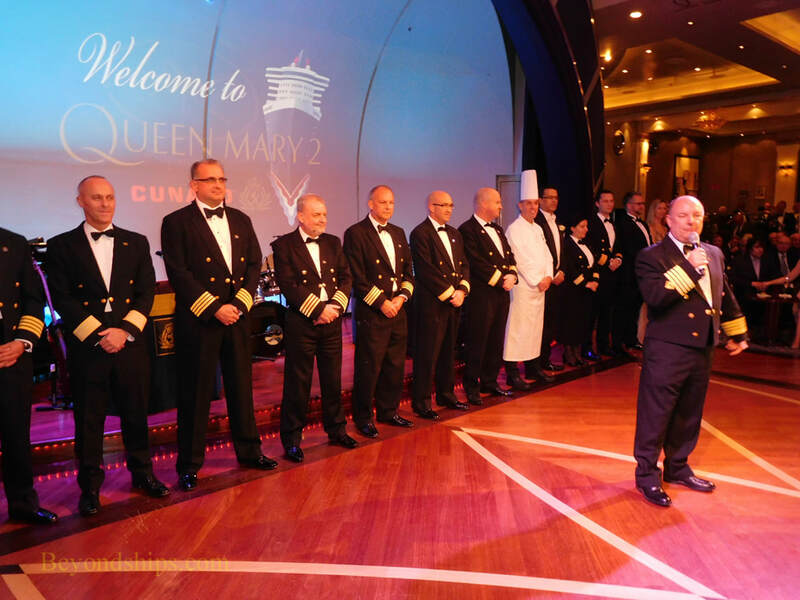 Above: Captain Peter Philpot introduces QM2's senior officers. 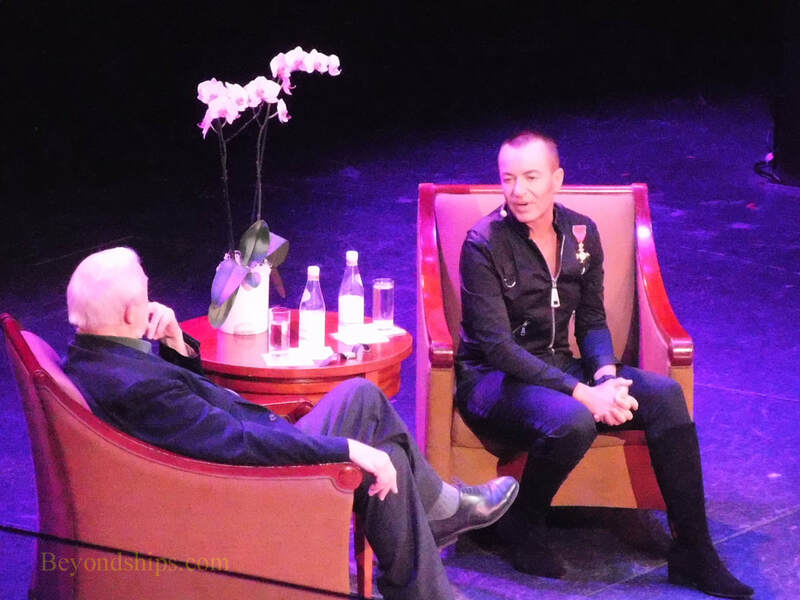 ​Below: Colin McDowell interviews Julien MacDonald in the Royal Court Theatre.. 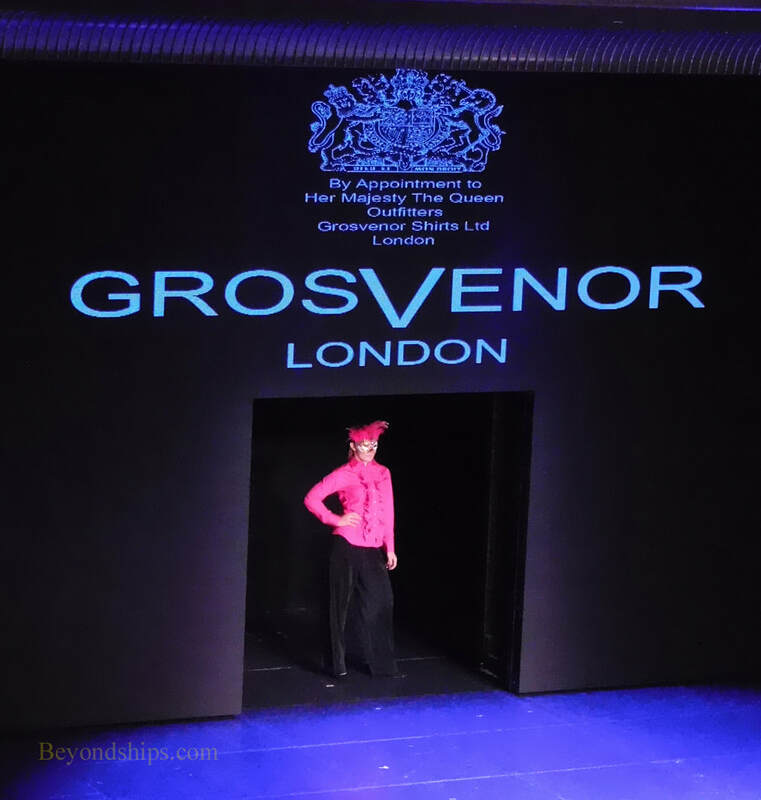 Above; A show of shirts and blouses by Grosvenor in the Royal Court Theatre. ​Below: A model showing a design by one of the students from the Parsons School.. Above: Colin McDowell conducting a workshop on Fashion Illustration. Above: Scenes from one of the Julien MacDonald fashion shows.